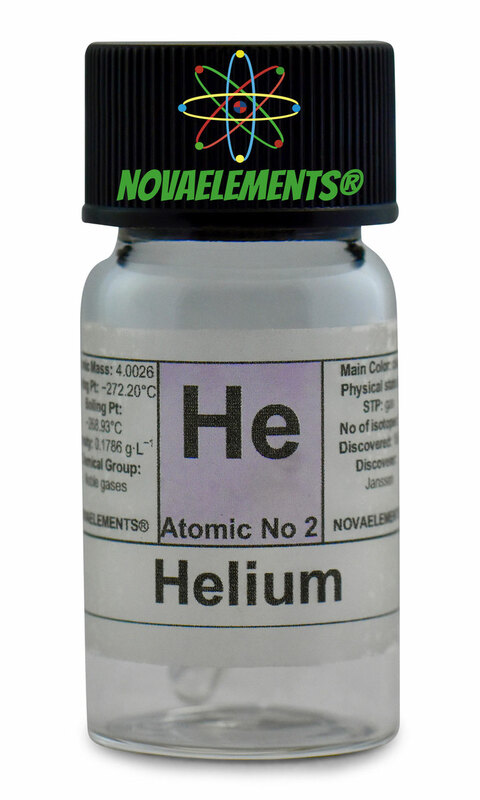 Helium is the second element of the periodic table with chemical symbol He and atomic number 2. 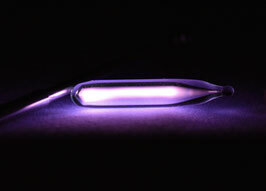 Is also a non-metal elements belonging to the Noble Gases group. 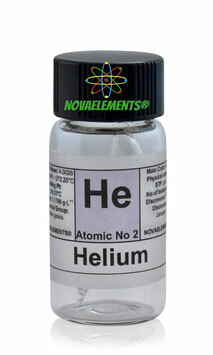 He is a gas at normal pressure and temperature and unlike Hydrogen is no danger. 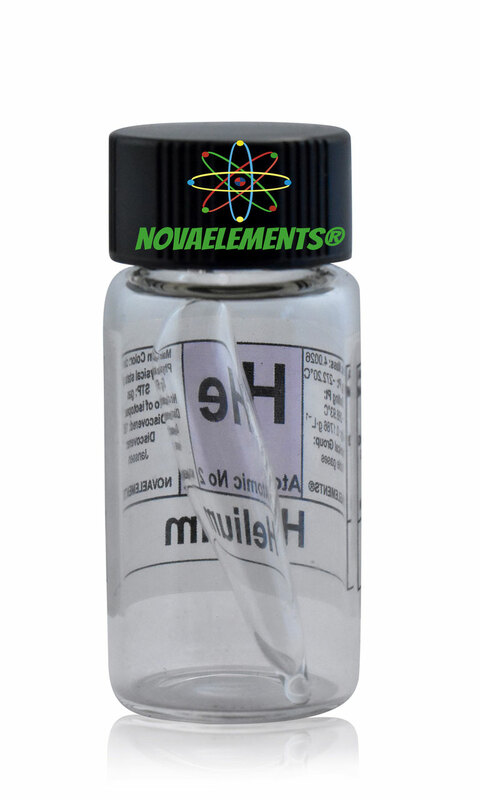 Is the unique component of the airship gas since the fire of the famous airship Hindenburg caused some people death, this airship was filled with pure Hydrogen gas. High purity Helium gas in low pressure, it can be lighted up with a simple Tesla Bulb (kid toy), not on sale here. 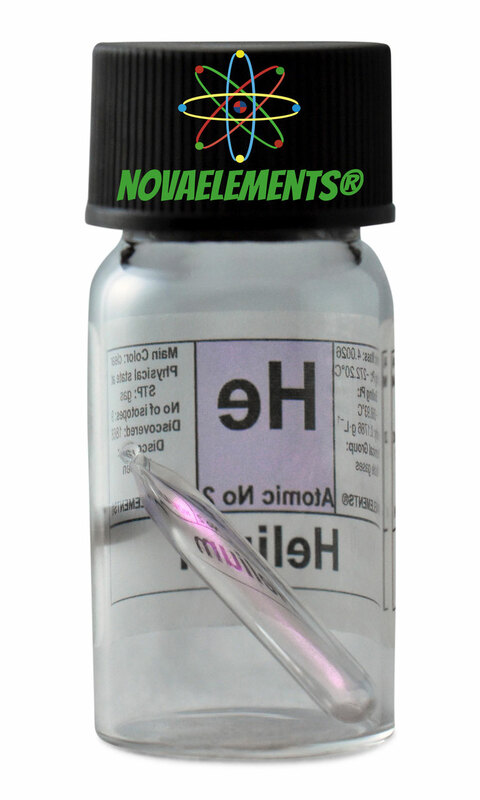 You will find this incredible ampoules only here. 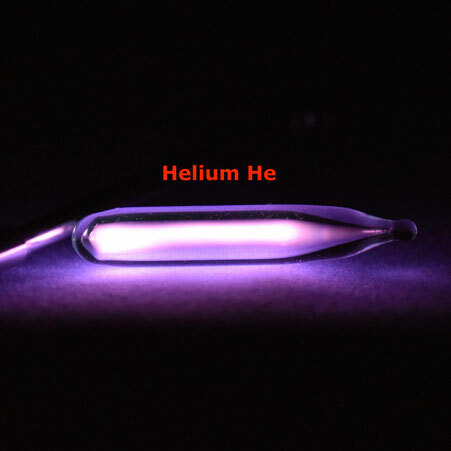 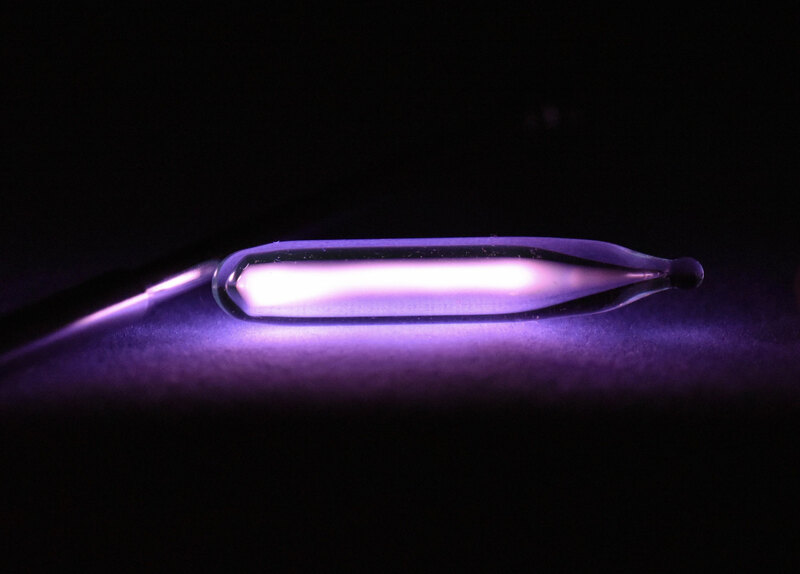 Helium gas excitable ampoule.